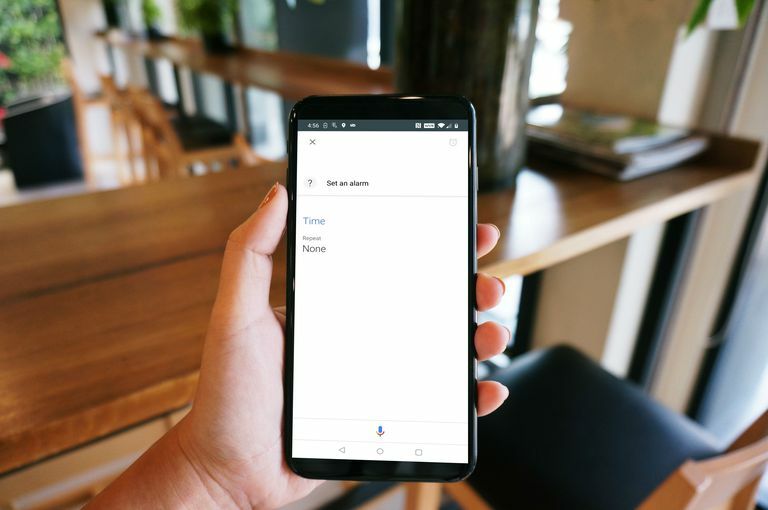 Google Assistant is a virtual assistant that allows you to use voice commands to send text messages, make appointments, and even set alarms. The Google Assistant alarm function uses the same default clock app that allows you to manually set timers and alarms. When Google Assistant won't set your alarm, but you can still set alarms manually, there's usually some type of problem with the Google app on your phone. If Google Assistant won't set alarms on your Google Home device, make sure that your Google Home device has a strong connection to your Wi-Fi network and that it has been updated to the latest firmware. If Google Assistant sets alarms, and they never go off, or if it refuses to set alarms at all, there is probably some type of issue with your Google app. The Google app is responsible for a lot of behind the scenes functionality, including Google Assistant voice commands, so when it malfunctions, you can end up having this type of problem. The first thing you should try is to restore your Google app to its original factory state. This process uninstalls any updates you have ever downloaded for the Google app, so it can restore Google Assistant to working order if your problem was caused by some type of bug in a recent update. Open the Settings app, and tap Apps & notifications. If you have an older version of Android, you may need to tap Apps instead. Tap the ⋮ (three vertical dots) menu icon. If you don't see the ⋮ (three vertical dots) menu icon, your Google app has never been updated or you have an older version of Android or the Google app that doesn't allow updates to be uninstalled. In that case, you will have to move on to the next troubleshooting section. Wait for the Google app updates to uninstall, and check to see if Google Assistant is able to set alarms. If it isn't, move on to the next troubleshooting section. Google Assistant can also malfunction due to corrupt local data, which can result in alarms that don't set or don't go off. The easiest way to fix this is to clear the cache and local data storage of the Google app. If you have an older version of Android, you may have to tap Manage Data instead. Check to see if Google Assistant is able to set alarms. If it still can't, move on to the next troubleshooting section. If your Google Assistant still can't set alarms after rolling back Google app updates and clearing local data, your last option is to completely refresh Google Assistant. This process also involves the Google app, but you actually have to disable it and then re-enable it. If you are unable to uninstall updates due to your version of Android or the Google app preventing it, disabling the app should forcibly roll it back to the state it was in when you first got your phone. If you have an older version of Android, you might need to tap Apps instead. Check to see if Google Assistant is able to set alarms. If it isn't, download and install the latest Google app update directly from the Google Play Store. After the update has finished, check to see if Google Assistant is able to set alarms. If it still isn't able to set alarms, you'll have to wait for Google to issue a fix. You can visit the official Google Assistant support forum for additional information and to report your problem. Exodus Isn't Working, Now What?